The city hasn't been totally rebuilt with modern skyscrapers, a few gems still remain. 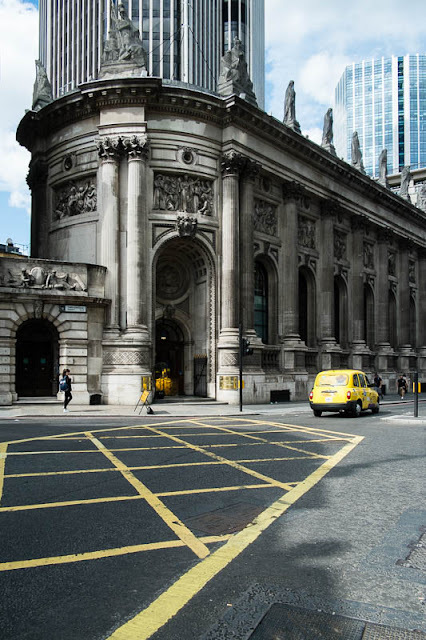 The Gibson Hall in Bishopsgate that is now an event venue, began life as the head quarters for the National Provincial Bank of England. It sits perfectly among its modern neighbours too, a real classic! What a great hold building. It is a beauty. I sure hope that places like this continue to be saved.